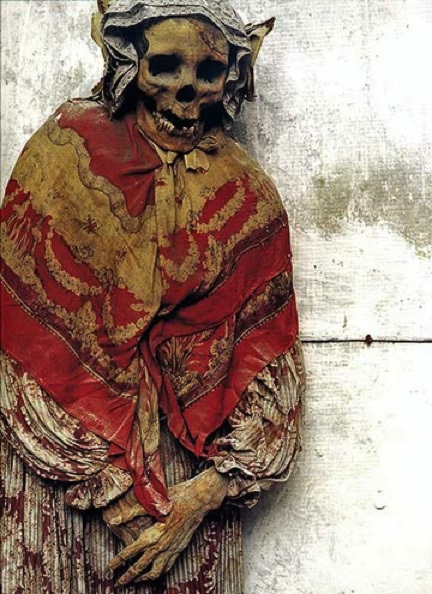 The Capuchin Catacombs: Sicily’s Catholic Culture of Death. 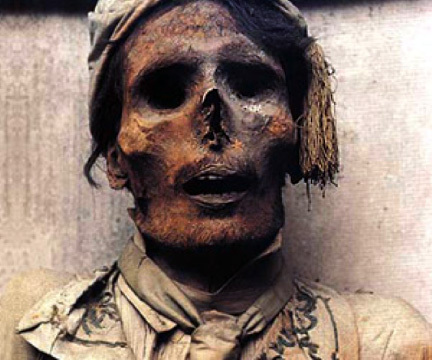 Beneath the streets of old Palermo, there are catacombs that contain 8000 corpses and 1252 mummies that line the walls. A place suspended between life and death, the Capuchin Catacombs are unlike any other monastery on earth. 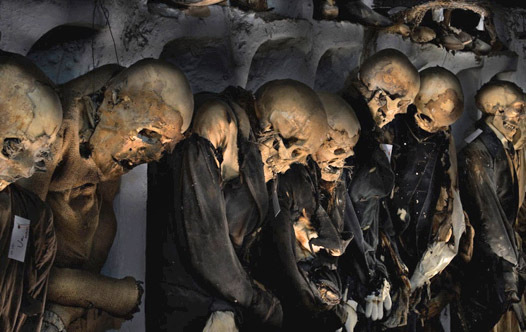 The conservation status of the countless corpses exposed make the cemetery of the Convent of the Capuchin Friars, known as the Capuchin Catacombs of Palermo, one of the most impressive places to visit in the world. A macabre spectacle that brings out the uses, customs and traditions of the Palermo society from the seventeenth to the nineteenth century. The halls are divided into categories: Men, Women, Virgins, Children, Priests, Monks, and Professionals. 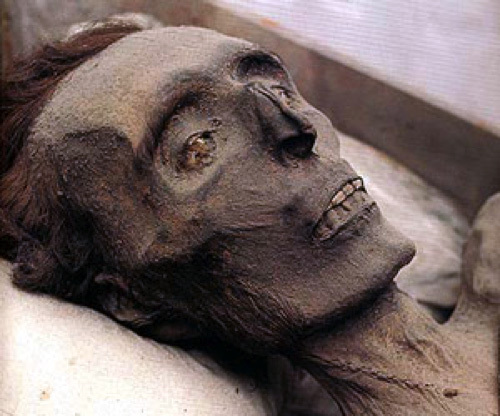 Some bodies are better preserved than others. Some are set in poses; for example, two children are sitting together in a rocking chair. The coffins were accessible to the families of the deceased so that on certain days the family could hold their hands and they could “join” their family in prayer.